Home » » Embattled Ganduje Invited By Kano House Of Assembly After Allegedly Being Caught On Tape Taking Bribe. Embattled Ganduje Invited By Kano House Of Assembly After Allegedly Being Caught On Tape Taking Bribe. 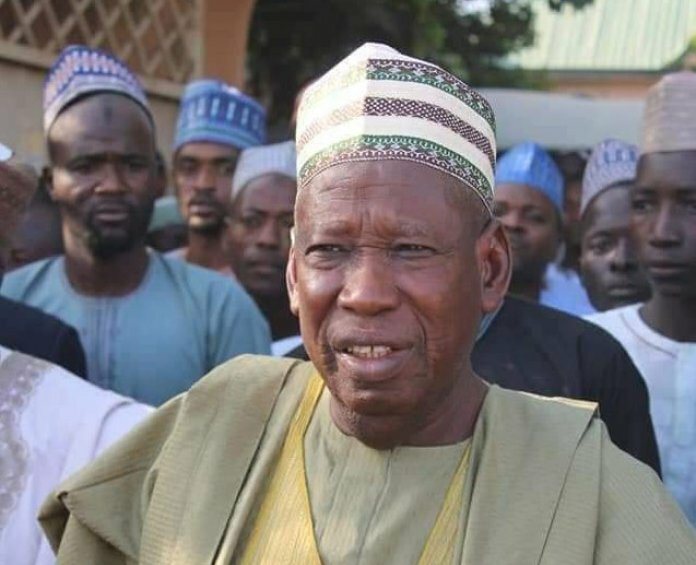 The Kano State House of Assembly on Wednesday invited the embattled governor of the state, Abdullahi Ganduje, to appear before an ad-hoc committee probing the bribe-taking videos of the governor, according to a report by Daily Nigerian. Recall that he had on October 14 and 15 in videos exclusively published by Daily Nigerian showing Mr Ganduje receiving bribe in dollars. Following the dust raised by the videos, the Assembly constituted a committee on October 15 to establish the authenticity of the videos. The publisher/editor-in-chief of Daily Nigerian had testified before the committee on October 15, insisting that the videos were genuine. Insiders told Daily Nigerian that the governor is expected to appear before the committee on Friday. Sources told Daily Nigerian that the governor held a meeting with the speaker of the House of Assembly, Kabiru Rurum, and some top government officials on Tuesday. During the meeting, insiders said the governor pleaded with the speaker not to invite him to testify before the committee. “The governor was angry with the speaker as he refused to cover up the matter. The only option now left is to plot the speaker’s removal,” said a source. The governor’s spokesman, Salihu Yakasai, neither answered our reporter’s call nor replied an SMS seeking confirmation.